CalmUnity Expressives Inc. brings you an engaging, fun and entertaining event every 3rd Friday from 7pm-11pm for FREE! 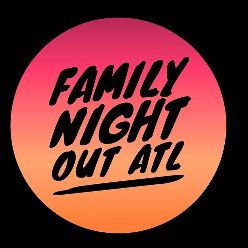 Let Family Night Out ATL take you back to when games weren't played on devices and conversations weren't long threads of information but face2face dialogue. We have giant games, board games, card games and some of your favorite childhood games. Come out with the entire family and let your inner child slip out for awhile. As an added bonus, we've included an ALL AGES OPEN MIC, so get the family ready! We are taking the living room talent show OUT OF THE HOUSE! !